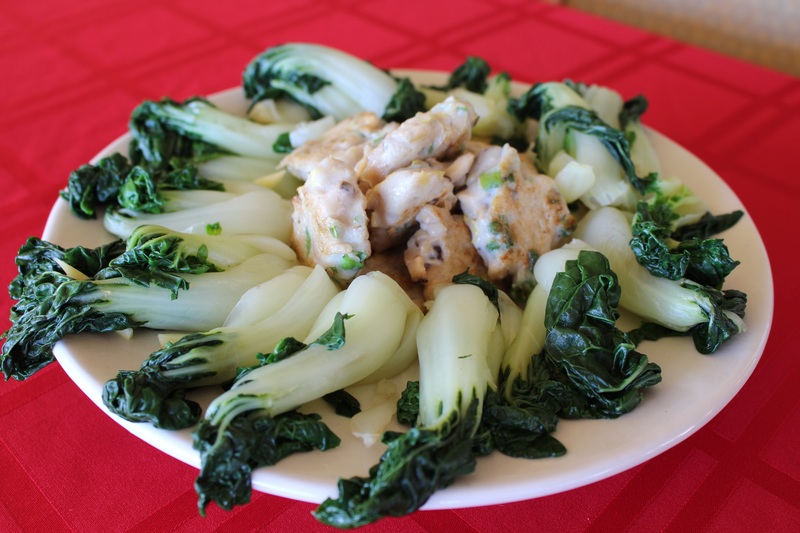 After two years of compiling traditional Chinese dishes with an island twist, Tom has lots of family recipes. Lynette Lo Tom is a woman of many accomplishments: former news reporter and anchor, Hawaiian Tel spokeswoman, marketing diva, mother. 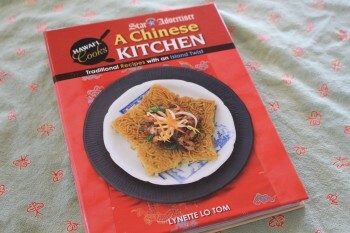 Now, having just published “A Chinese Kitchen,” she’s also a cookbook author. The self-proclaimed news junkie started out at All News Radio KHVH, KGMB and PBS before single parenthood spurred her to start her own company. For over 20 years Tom’s Bright Light Marketing was a force in local public relations and marketing. Two years ago she whittled down her client list to focus on her passion. “I wanted do more with food and about food. I really wanted to write a cookbook for my mom,” she says. 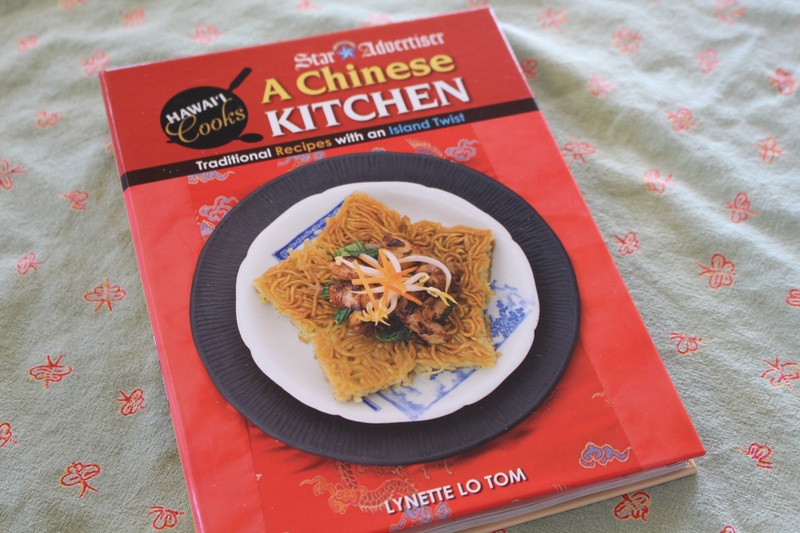 Tom’s “A Chinese Kitchen” is a collection of 112 Chinese recipes from her mother, family, friends, notable local Chinese restaurants and more. Some of the recipes came easily; others didn’t. “It’s very personal,” Tom says. “I guess all food is what you grew up with, the style you like.” She collected and tested 140 recipes, of which 112 made the book. 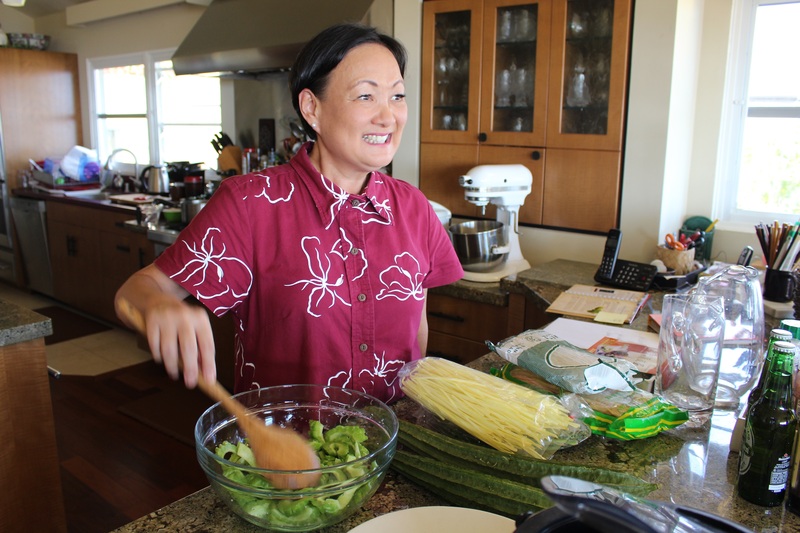 She was going to self publish it, but then things came together and the Honolulu Star-Advertiser and Mutual Publishing chose it for their Hawaii Cooks book series. The 189-page book was edited by well-known Hawaii food writer Betty Shimabukuro and local cookbook author Muriel Miura. Tom takes great pride in the kitchen. She hopes that a little piece of her heart and her mother’s expertise will please many palates. She’s uncertain what the future holds. I think she should star in her own cooking show! Together we made this simple yet delicious and easy fishcake appetizer with boiled bok choy. Here’s a quick video shot in Tom’s kitchen of how to make the fishcakes. Mahalo to Melissa Chang, my camerawoman extraordinaire. At the end of September you should be able to find Tom’s cookbook in local bookstores. Over the next few months she will be traveling statewide for book signings and cooking demonstrations, some with her mother Lorna, who is now 85. Oct. 28 (Kauai): 5 p.m. book signing, 6 p.m. talk, Lihue Public Library, 4344 Hardy St.
Nov. 14: 11 a.m., Native Books Na Mea Hawaii at Ward Warehouse, 1050 Ala Moana Blvd.